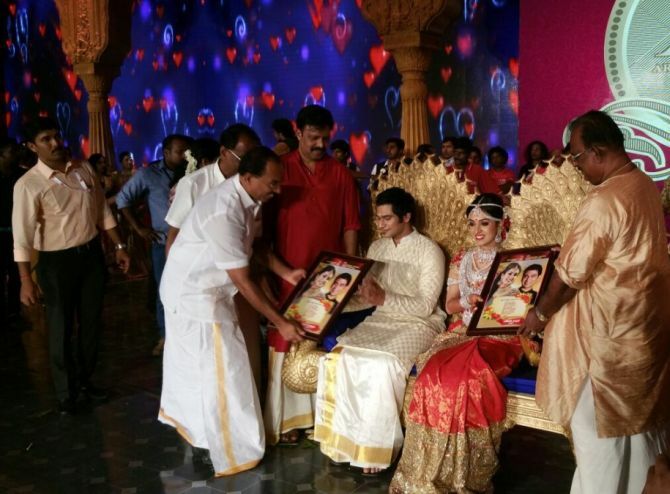 Rediff.com » News » This Rs 55 crore wedding is like nothing you have ever seen! 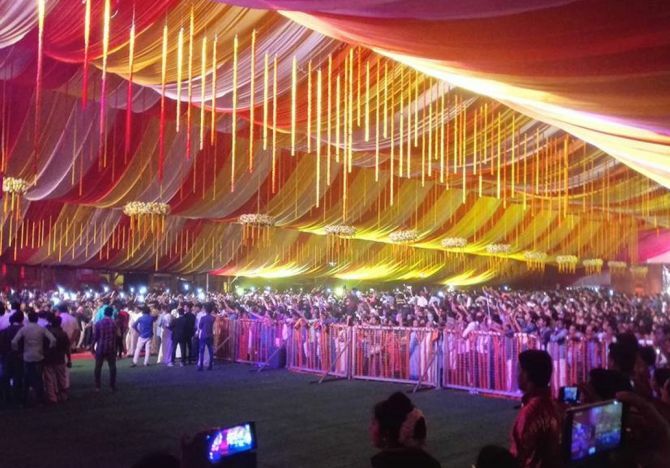 This Rs 55 crore wedding is like nothing you have ever seen! 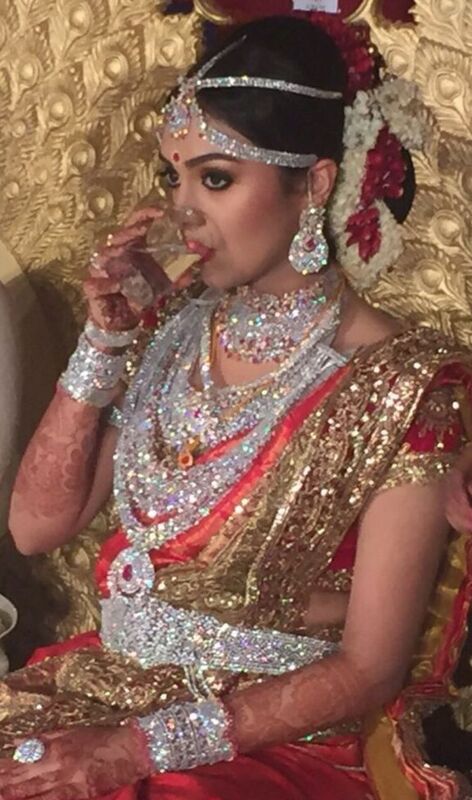 One has often heard of the ‘Big, Fat Indian wedding’. Well, this wedding beats the others hands down. 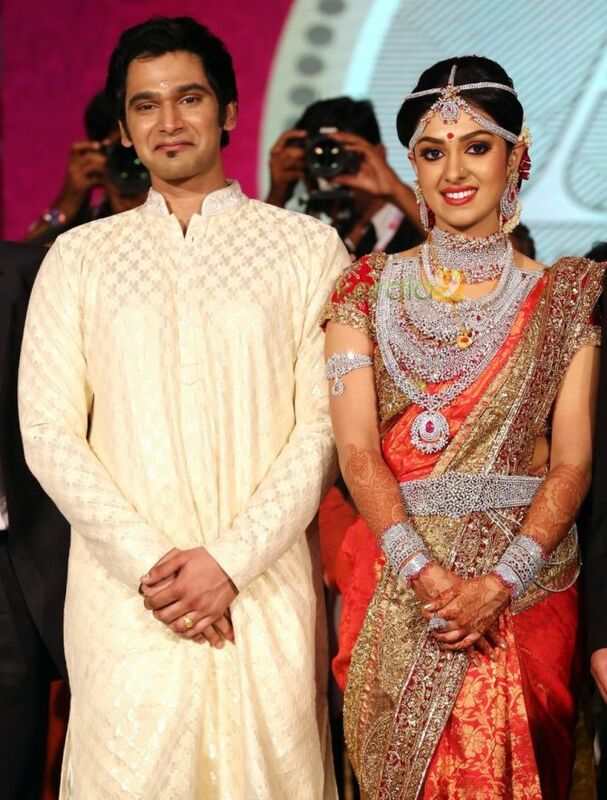 NRI businessman Ravi Pillai spent Rs 55 crore on his daughter Dr Arathi Ravi Pillai’s wedding to Adithya Vishnu, a Kochi-based doctor at the Asramam grounds in Kollam on Thursday. With a net worth of $2.8 billion (Rs 18,200 crore), B Ravi Pillai is one of the richest Keralites. 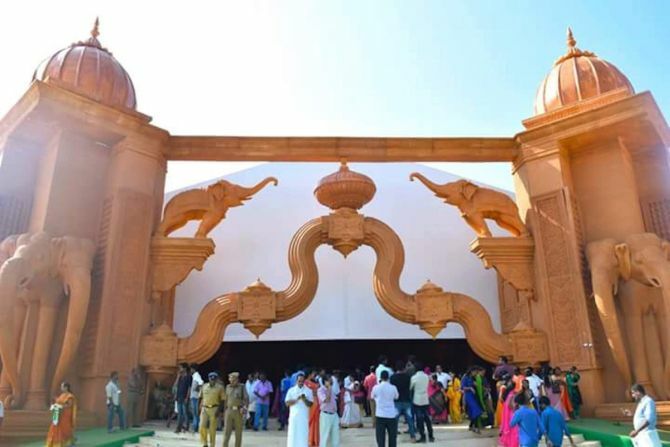 Over 30,000 guests, performances by celebrities and a wedding pandal created by the production designer of Bollywood’s record breaker movie ‘Bahubali’ were some of the highlights of the wedding. 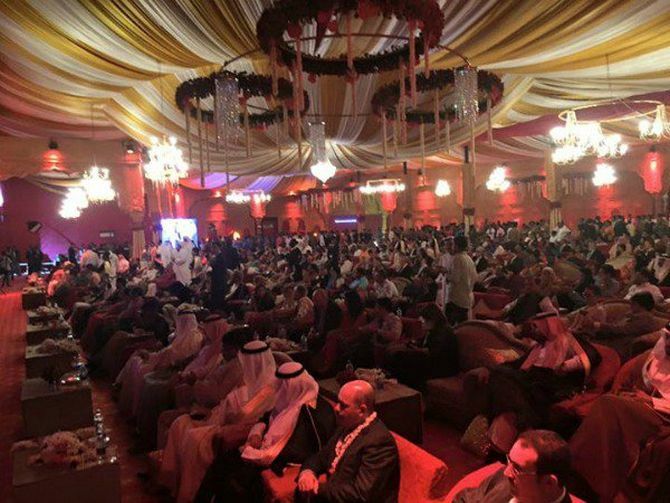 Here are glimpses of the extravaganza. The menu for the wedding comprised of traditional sadhya with 10 payasams. For the VVIPs from around the world, a selection of global cuisines was available. 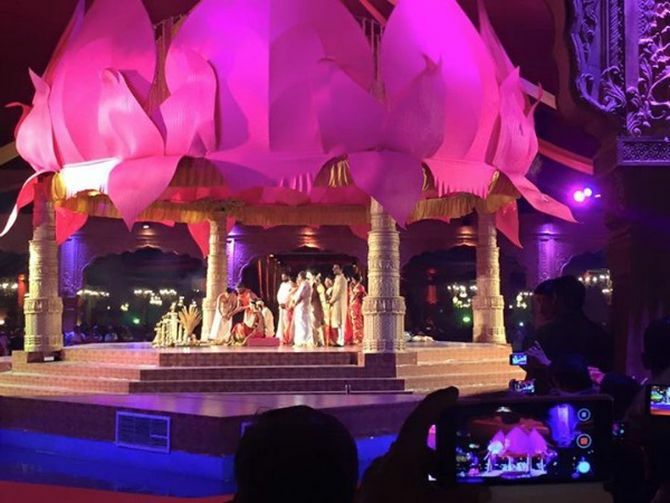 In addition to the grand sets, guests at the wedding were entertained by performances by actresses Manju Warrier and Shobhana. PIX: Meet Mr and Mrs Shahid Kapoor! Picture-perfect moments from Indian weddings!